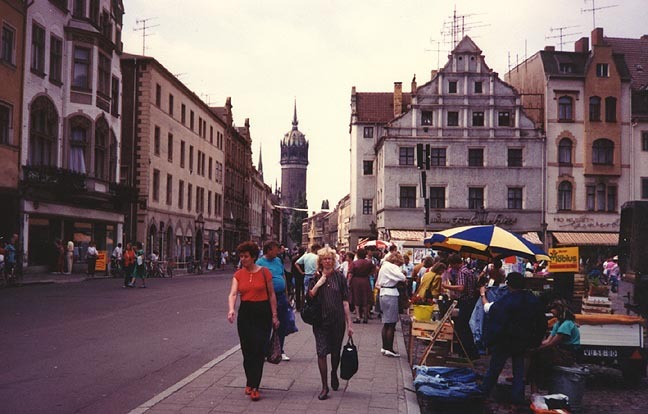 Wittenberg, city, east central Germany, in Saxony-Anhalt, on the Elbe River. 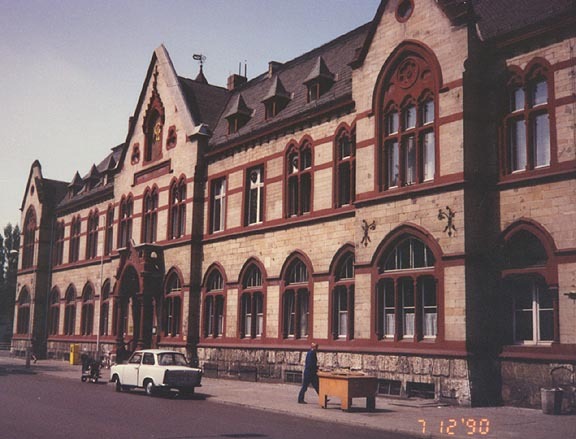 It is a railroad junction, and factories for the manufacture of textiles, hosiery, leather, machinery, pottery, electrical apparatus, bricks, cement, and chemicals are here. 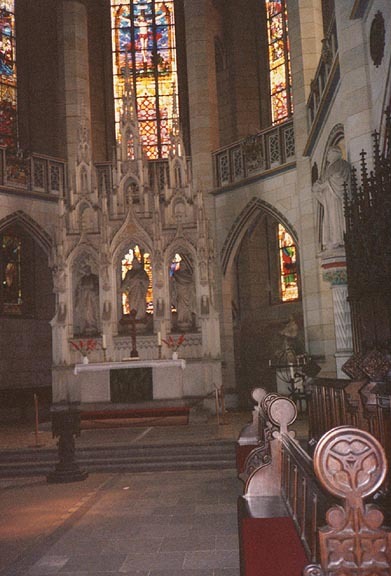 Wittenberg contains many architectural landmarks associated with the Protestant Reformation. 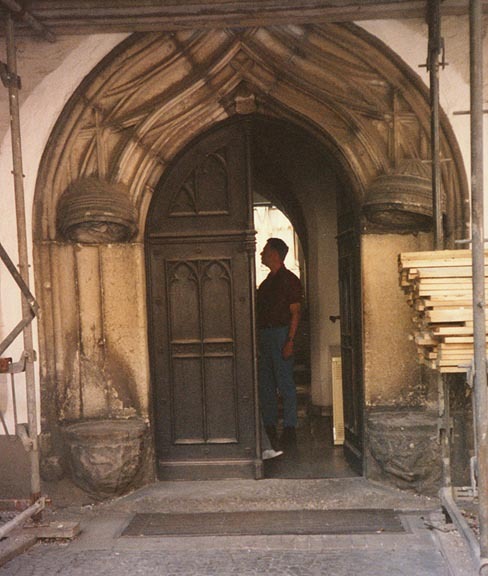 Particularly noteworthy is the Castle Church, on the door of which Martin Luther in 1517 nailed his 95 theses opposing the granting of indulgences. 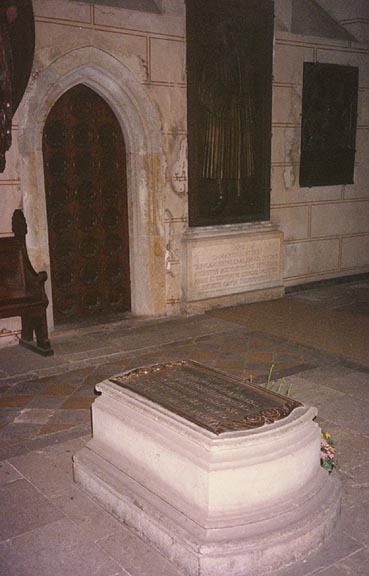 Within the church are the tombs of Luther and of the German religious reformer Melanchthon. 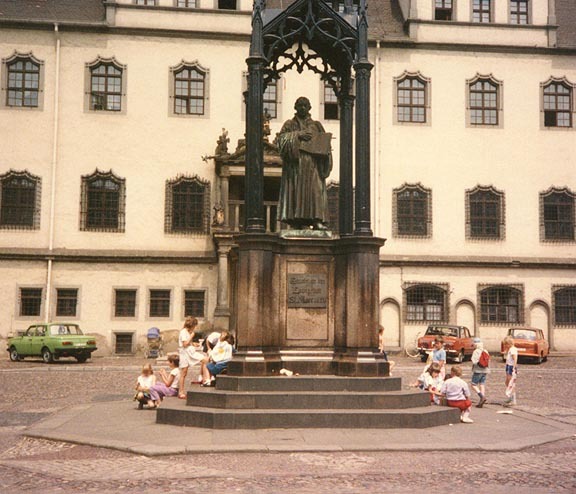 Of interest, too, are the home of Luther, now a museum; the houses of Melanchthon and of the German painter and etcher Lucas Cranach the Elder; and the parish church, dating from the 14th century, where Luther preached. 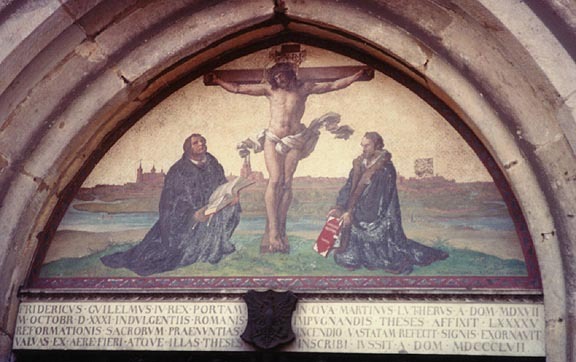 Luther, Melanchthon, and the German religious reformer Johann Bugenhagen were all faculty members of the University of Wittenberg (1502), which was merged with the University of Halle in 1817. 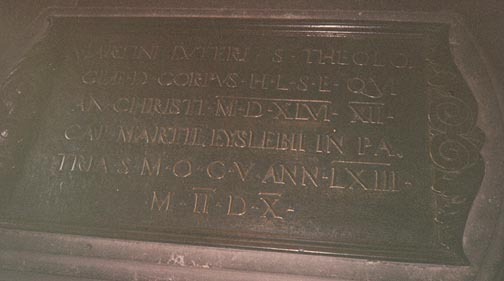 The spot where Luther burned the papal bull condemning his doctrines is marked by an oak tree. 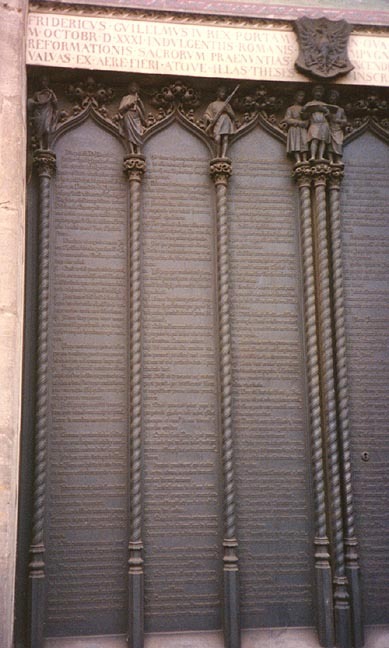 The city was cited as early as 1180 and served (1273-1422) as the capital of the duchy of Saxe-Wittenberg. The house of Wettin obtained control of the city in 1423. 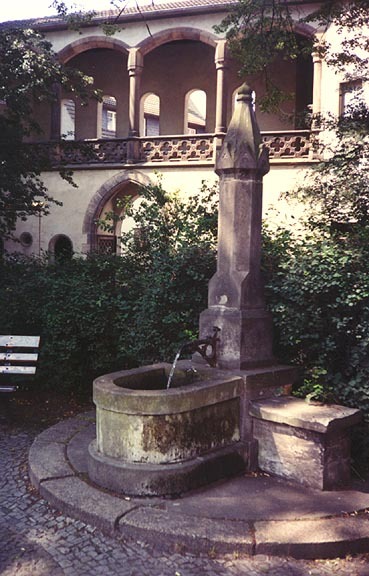 It passed to the Albertine line of the Wettin house in 1547 under the terms of the treaty known as the Capitulation of Wittenberg. 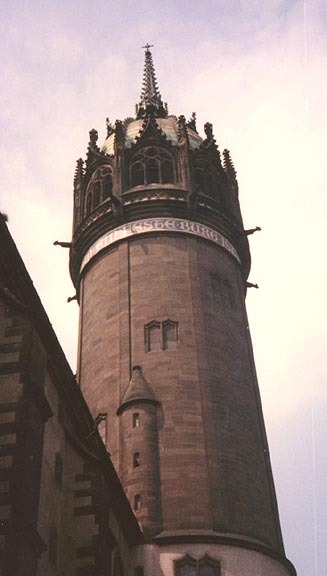 Meanwhile, the city had become the focal point of the Reformation. 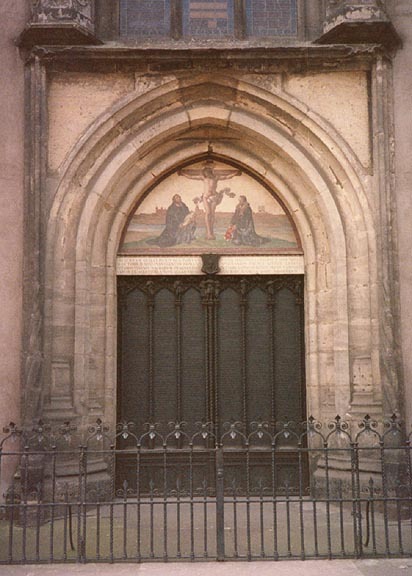 In 1534 the first Lutheran Bible was printed here. 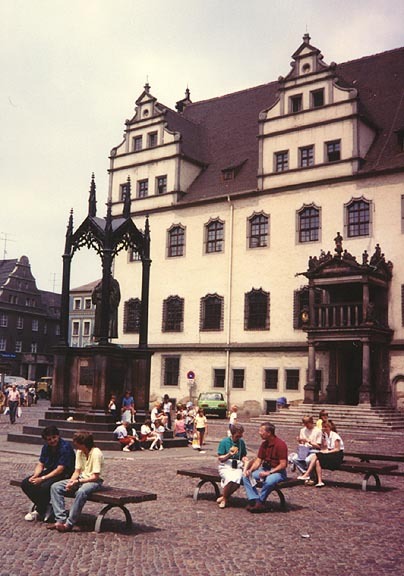 The city sustained heavy damage in the Thirty Years' War (1618-1648) and in the Seven Years' War. Wittenberg, following the deliberations at the Congress of Vienna, was annexed by Prussia in 1815. Population (1992 estimate) 48,400.